Your phone has been paying attention to your tilting habits, and it can now identify you based on your tilt, your angle, and the way you wave your mobile. Thanks to tilt-sensor technology and an impeccable memory, smartphones can give up your tilt “fingerprint” that can identify and track you as you move. The study identified the findings after testing 80 accelerometer chips, 25 android phones, and two tablets. The accuracy rate was an astonishing 96%. Since accelerometers do not require permissions to be enabled or tracked, it can be a stealth system for identifying users. Choudhury is now working with others to find ways to obscure accelerometer data so users can secure their identity when using apps. We believe that some of this can be done for most of the applications, except the ones that you need very precise details,” Choudhury said. 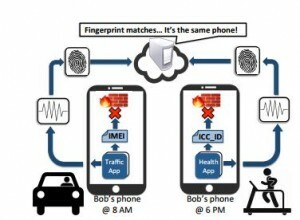 As standard components inside smartphones and tablets, accelerometers’ ﬁngerprints create new threats in mobile apps — tracking users without cookies or device IDs. The ﬁngerprints stem from the core of accelerometers: an electro mechanical moving part holds the key to sensing. The manufacturing of such moving parts are susceptible to imperfections, bringing about diversity in the behavior of accelerometers. This diversity is not conspicuous from a higher level since various operations such as step-counts and display rotations are tolerant to noise. However, when the properties of these imperfections are deliberately extracted, they lead to a sensor ﬁngerprint, adequate to identify a device, and even an user. Our results on 80 standalone accelerometer chips, 25 Android phones, and 2 tablets offer conﬁdence that such ﬁngerprints exist, and are visible even in real, uncontrolled environments. While commercial-grade measurements are necessary towards a conclusive result, we believe that our lab ﬁndings are still an early and important step for understanding sensor ﬁngerprints and their consequences at large.